Synergy Consulting is pleased to announce the addition of Hyojung Jung to our team as the Director in Synergy Korea. Ms. Jung brings over 15 years of global experience in developing projects, with a concentration in the power and water sectors in Asia, the Middle East, and Europe. Ms. Jung’s positions have spanned the lifecycle of project development, from targeting potential investment projects, to establishing and managing SPC and Assets at Samsung Engineering Company, Ltd. Her experience at Samsung brings the unique perspective of a large, international company with roots in the public sector. Jung was part of the team responsible for the company’s ability to address the objectives of the developers and investors, in addition to executing the EPC projects, resulting in greater recognition as an industry leader. In her most recent role as the Senior Manager/Head of IPP Program of SK Engineering & Construction, she led the business development of the 5,000 MW Combined Cycle Power Plant in Iran. Other notable experience includes business development for large water projects in the Middle East and Korea, as well as bid-project management from the sponsor side of the Muharraq Sewage treatment BOO in Bahrain. She was a board member of the treatment plant’s SPV. Ms. Jung’s highly credible project experience benefits Synergy Consulting tremendously as we expand our presence in the Korean market and beyond. Her analytical experience, together with an understanding of risk management, project structuring and funding planning, allows for accurate identification of the most appropriate and viable projects for Synergy. 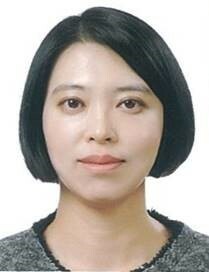 Join us in welcoming Ms. Jung to the Synergy Consulting team!